Back in 2010, Red Dead Redemption had its hooks in me from the opening scene, thanks in no small part to the charismatic voice of Rob Wiethoff as John Marston. The former outlaw is forced onto a train by the enigmatic Bureau of Investigation. With his family held captive by the Bureau, Marston is given one mission: Bring in the remaining members of his former gang, or never see his family again. It’s a brilliant scene, giving both Marston and us a compelling cause in the opening minutes. Sure, we suspect that Marston is probably by no means an angel, but then again, neither are the people that are holding his family hostage. The wild west of Red Dead Redemption is established as a land with no “good” people, and it’s from here that we embark on the bigger journey of redemption in the shoes of Marston. Red Dead Redemption 2 features no such compelling opening. 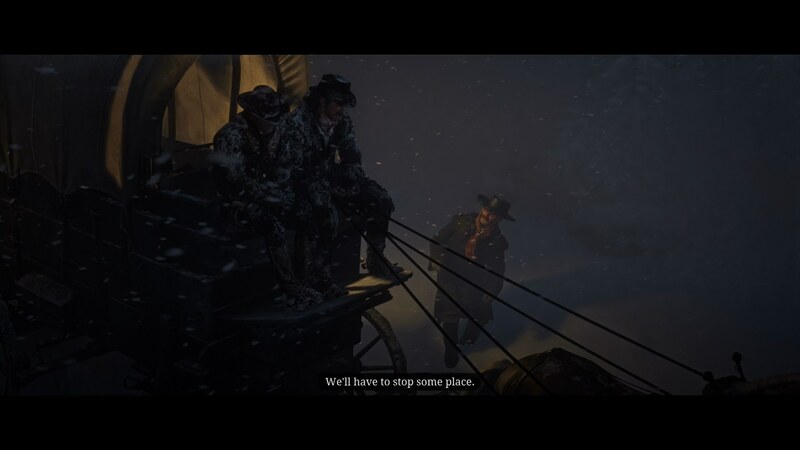 In the mountains of West Elizabeth, Arthur Morgan, Dutch Van der Linde, and various other members of the gang are stranded after a failed robbery in the town of Blackwater. There’s no strong set up at the start of the prequel adventure; no sense of direction. Instead, we’re put in 10 inches of snow, and told that we’ll have to wait there until spring. Not much happens during the opening scenes of Red Dead Redemption 2. The aforementioned failed robbery in Blackwater is only ever alluded to, but it’s not enough of a mystery to actually hook you into wanting to know more about how the mission failed either. Waiting in the snow for the weather to clear, the Red Dead Redemption 2 gang's growing impatience reflects the slow pace. Everyone obviously wants to get off the side of the mountain as soon as possible (again, me included), and it turns out the gang aren’t exactly friends at the moment, with protagonist Arthur Morgan picking his fair share of fights with his comrades. With time on their side, the Dutch Van der Linde gang spend the opening hours talking about the past, and looking to the future. Everyone’s on edge after the failed Blackwater robbery, taking jabs at one another for failing the gang, but there’s also hope for the future. The future however, looks unclear, as the gang aren’t even sure of what they want once the snow clears. Do they want peace, or do they want to ride back into Blackwater and give the robbery another shot? The indecision of the gang is pretty emblematic of the story of Red Dead Redemption 2 in the first few hours: It fails to go anywhere because the characters themselves can’t come together for a common goal. One thing the original Red Dead Redemption did so eloquently at its start was to put a relic of the past (Marston, a cowboy) onto a train full of people that are looking to the future, lauding the arrival of civilization in the lawless wild west. 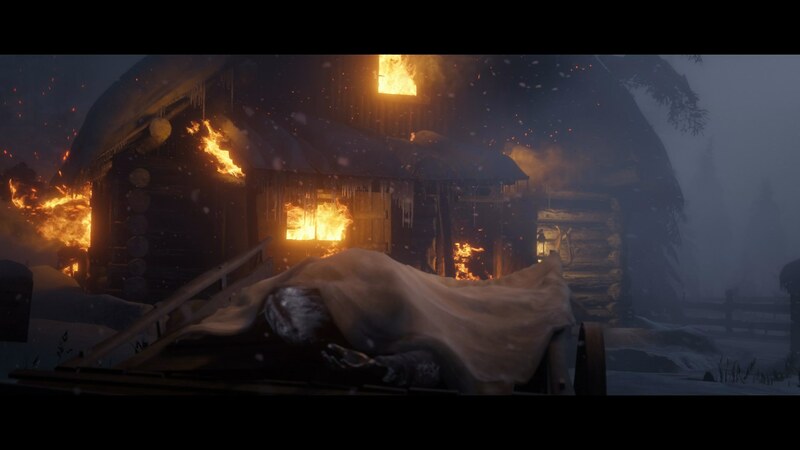 In Red Dead Redemption 2’s opening, there’s never a clear sense of where or when the events are taking place, not least because Rob Wiethoff’s wonderful voice acting in the role of Marston is absent for the first few hours. Aside from an absence of a hook, there’s also a lack of character development during this. There’s a slew of characters we already know from the original game, namely Bill Williamson and Dutch Van der Linde, but we aren’t properly introduced to any new characters. The only time they’re mentioned is when Dutch is barking orders at people to get working, and outside of new character Hosea Matthews, the elderly grandfather figure of the gang, I couldn’t tell you the full name of any one newly introduced character after playing through the opening few hours. How Does the Prequel Hold up Against the Original? Back in 2010, the original Red Dead Redemption featured one seamless opening act, as John Marston embarks on his mission of redemption almost in real time, with his journey from Blackwater to confronting Bill Williamson spanning roughly an hour. 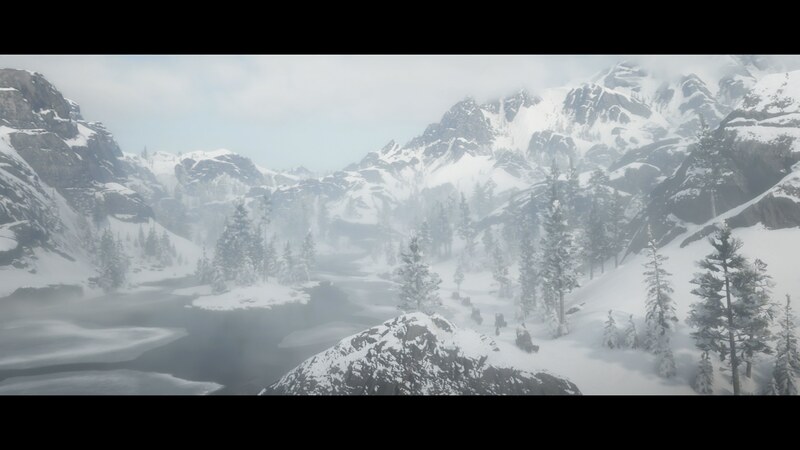 Fast-forward to 2018, and Red Dead Redemption 2’s first chapter takes place across a number of weeks, with small time jumps used to power through the waiting game on the mountain. Thanks to the time jumps in quick succession, we never get the chance to properly invest time with any of the new characters before moving on a few days or weeks, as we spend time with only a few different characters in each scene. The fluctuating pacing ends up robbing us of getting to know these characters in greater detail as they band together in an attempt to survive the winter. There's urgency in circumstance, but not in plot in the same way the original's opening had. Given that we’ve already missed out on the failed Blackwater robbery with no indication of revisiting it, the opening hours end up feeling dull. With Marston back in 2010, the writing in the opening sequence of Red Dead Redemption 2 told us all we needed to know about our hero. He’s a family man with a murky past, but more immediately, he’s a quiet guy with a cool demeanour. In contrast, Arthur Morgan is simply not as compelling. Morgan's more of a world-weary gunslinger than Marston, but has enough wiggle room in his personality so that whenever you choose to stop and help a stranger in need, it doesn’t feel out of character for the outlaw. Instead of creating a fascinating character you can get behind, the tepid characterization of Morgan backfires to create a character who’s the blandest outlaw of the whole gang and weirdly crippled by mood swings. After the dust has settled on Red Dead Redemption 2’s opening act, there’s not a whole lot about it that's grabbed me. The cast of characters are a disappointment in the (temporary) absence of the charismatic John Marston, and the lack of the strong narrative hook that the original had back in 2010 can be felt for hours after. Red Dead Redemption had a clear sense of purpose against the backdrop of a dying wild west, but the prequel doesn’t have a clue where to go in its opening hours.